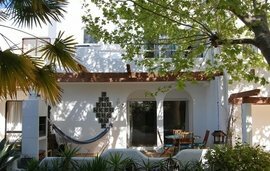 Find the perfect Algarve Villa. Endless blue skies, immaculate beaches, sports, and sociability are just some of the reasons why villas in Algarve resorts such as Carvoeiro make universally popular second homes. Thanks to the affordability of property compared to other European property hotspots – together with tax incentives and low living costs – international buyers can invest in a holiday escape with change to spare. The affordability factor makes a villa in the Algarve hills or a new-build in the coastal city of Lagos the perfect full-time home too. With the opportunity to acquire an EU passport by investing in Portuguese property, many overseas buyers have done just that. For the retirement buyer, an Algarve villa enables an outstanding lifestyle. Discover golf-resort villas, easy-to-keep bijou properties and substantial homes with room for the entire family to visit. 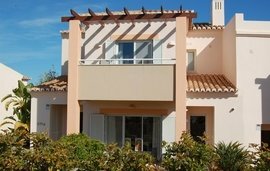 A holiday home, new life abroad or buy-to-let venture; buying a villa in the Algarve can be many things. Specialising in Algarve villa sales for many years, our Winkworth Portugal property experts are well placed to fulfill any brief. With a property portfolio taking in exceptional locations along the Algarve coast – from Silves and Burgau to Luz, Funchal, Portimao and more – we’ll make your sale happen. Whatever your real estate needs in the Algarve, we’re happy to help you. +44 (0)20 7870 7181 or email us directly. Create a Winkworth International account to receive a wealth of benefits. If you’ve ever missed out on a property that would’ve been perfect if you’d known about it sooner, you’ll understand what we mean by ‘the one that got away’. Thanks to our property alerts for account holders, missing out is no longer an option; as soon as a promising new property comes to market, you’ll know about it. If you know how it feels to spend hours trying to retrieve a property you liked the look of earlier, you’ll love our ‘save property’ button too. What a relief to find all your favourite properties still safely in one place! Your exclusive account also saves whole lists of property search results for you to view later. Create an account with Winkworth International and see your international property search transformed. Be the first to see exciting new properties that tick all the right boxes. Save your property search results and browse them at your leisure. Seen a property you love? Keep it safe by saving to your account for later.